Pepper Valley Shifters books 1-4 are now republished - links inside! What will happen when two shifters fight - over a love that has been ordained, and one that is forbidden? Jace moved in with Fiona and her father when she was fourteen. Tall, lean, and hotter every day, he caught Fiona's eye on day one, and she has had a crush ever since. The problem is, Jace has never looked at her as anything but a friend. On Fiona's sixteenth birthday, her dad announces she is going to mate a shifter she has never met when she turns twenty-one. Zane, though cute and muscled, is arrogant, older, and not at all her type. One night, Jace finally sees Fi for the woman she has become. In a moment of weakness, he succumbs to her request for "just one kiss." A mate's addictive taste is something neither Jace nore Fiona deny. Caught by a secret past, Jace believes he will never deserve a woman like Fi. However, Fi harbors a deep dark secret of her own, a secret that may change all of their lives. Bonus Forrest Scott prequel story included: "Shifter In Training" : Forrest got more than he bargained for when he joined the DEA Shifter Division. Nick Caputo is a wolf-shifter, and the new clan enforcer. 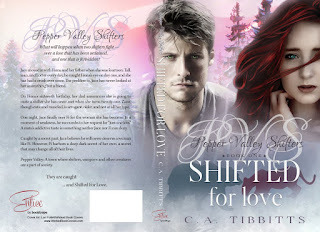 He knows with every fiber of his being that Violet Tago (a shifter who can’t shift) is his mate. One kiss, one simple taste . . . and she’ll be his. 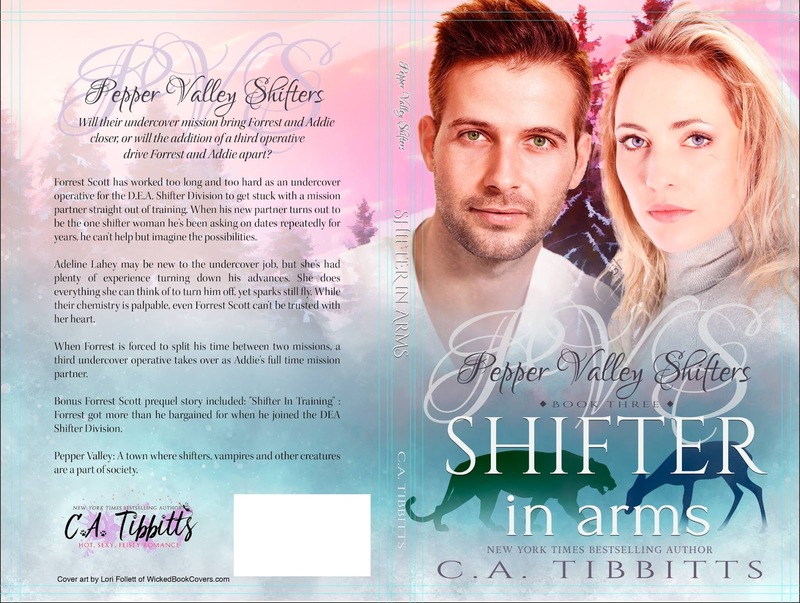 Since arriving in Pepper Valley, Violet has ignored any burgeoning attraction for Nick, and instead is crushing big time on her brother’s best friend, Brody. Brody Westwood, also a wolf-shifter, has never thought twice about his best friend’s kid sister. The fact is, he wants nothing to do with any other supernatural beings. After seeing his best friend, Griffin, fall in love, marry and have children, Brody decides it’s time to settle down and start a family of his own. When a new curvaceous beauty shows up in town, the attraction practically crackles in the air between them. The good news is, Leah Cross isn’t a shifter…but neither is she human. Can Brody surpass his aversion and accept his love for her? 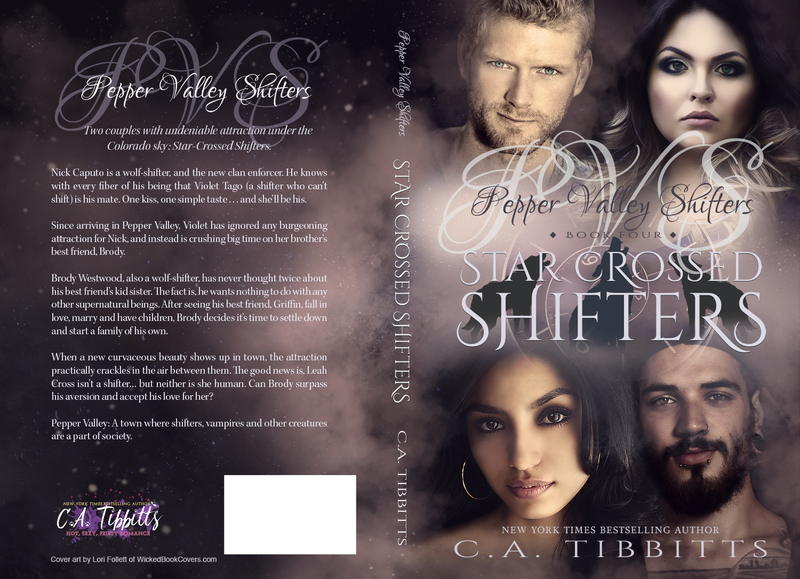 Two couples with undeniable attraction under the Colorado sky: Star-Crossed Shifters. 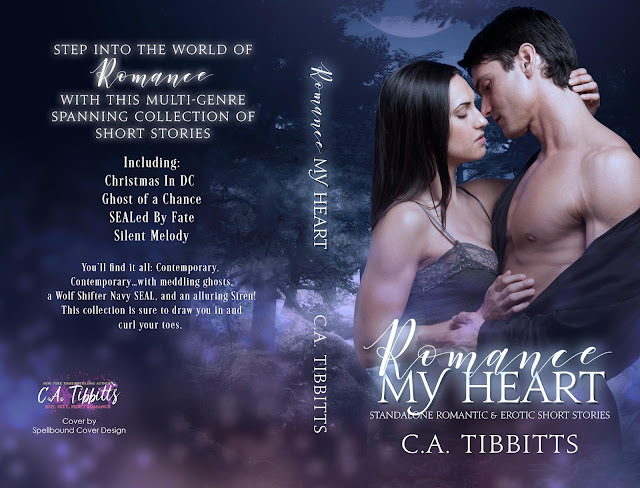 If you would like an autographed paperback, email me your PayPal email to authorcatibbitts@gmail.com and I will get back to you. You will basically add $5 to the "buy paperback direct from Amazon price" to cover shipping. This is to the United States only. If you live abroad, I will have to calculate shipping costs and get back to you. p.s. Thanks so much for reading my books. It means the world to me! ~C.A. Pepper Valley Shifters books 1-4 is now in a Collection! Now in ebook and paperback! *At the current time, you can only purchase paperbacks through me. The usual publisher would not publish this book due to its length, so I had to go elsewhere. If you'd like an autographed paperback, it will be $20 including shipping (to United States only). If you live abroad, please contact me and I will figure out shipping costs. Email me with your PayPal email address to authorcatibbitts@gmail.com . 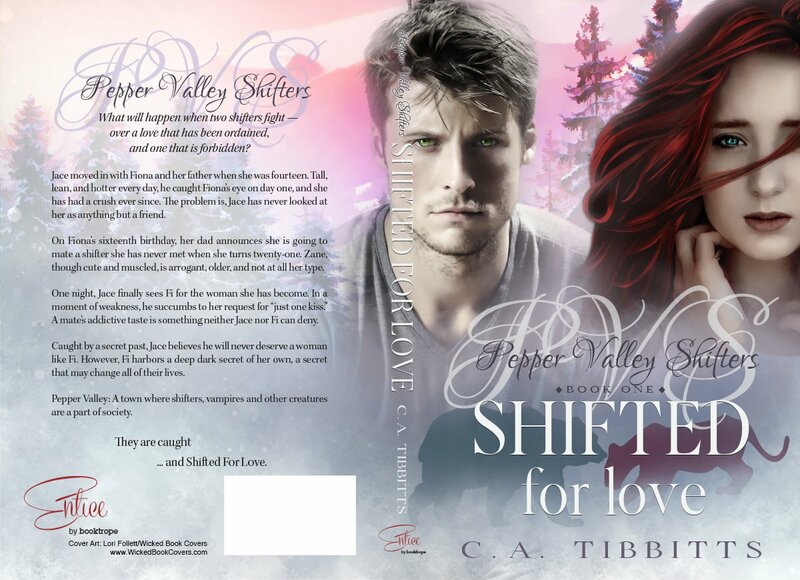 NOTE: This is now the only way to purchase A Shifter Christmas and Twice Fated Shifter. They are included in this collection as bonus stories. 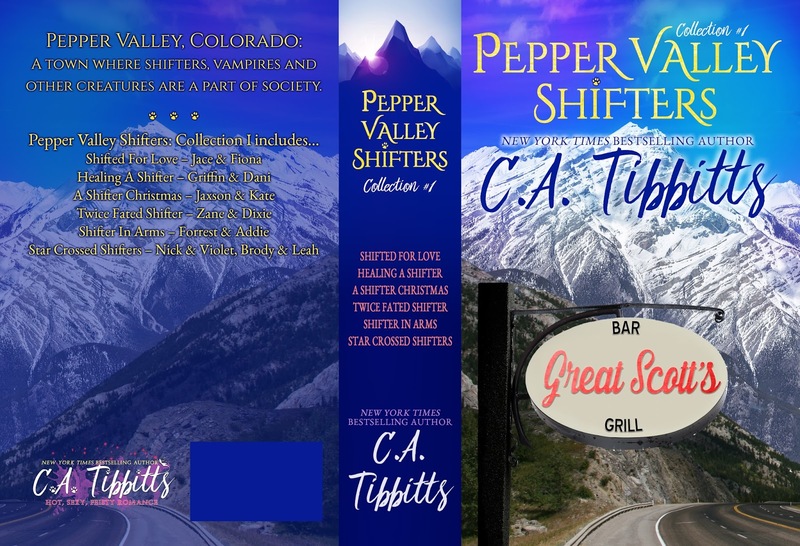 Pepper Valley, Colorado: A town where shifters, vampires and other creatures are a part of society. The entire series thus far, including the two bonus short stories. 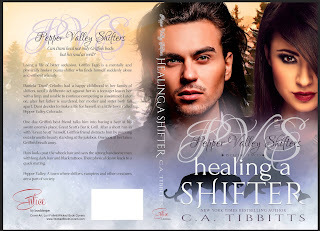 Read it all and be prepared for Book 5 - Some Enchanted Shifter, the story of Finn and Carly. So excited to show you the new book of my Standalones! *PLEASE NOTE: If you would like an autographed paperback, email me at authorcatibbitts@gmail.com with your PayPal email address. For $15, you will get autographed copy and shipping included (United States only). If you live in other locations besides the US, I can look up shipping costs and price accordingly..
You’ll find it all: Contemporary, Contemporary…with meddling ghosts, a Wolf Shifter Navy SEAL, and an alluring Siren! This collection is sure to draw you in and curl your toes. Naomi has worked as Will's assistant at college where he teaches law classes as she earns her degree as a Paralegal. After Naomi graduates, she learns that Will is quitting the college to work for a Senator in Washington D.C. When Will asks Naomi to work with him and the Senator. it does not take her long to accept the position. No longer a professor and student, the attraction of this 30-something year old couple is palpable. A terrifying act leads Naomi to a heartbreaking discovery. Did she ever really know Will at all? Vanessa has run a bed and breakfast for years in her small home town in Missouri. When her ex, Grant, shows up after his mother’s death, he winds up staying at the bed and breakfast and taking over the vacant position of handyman. Vanessa is haunted by the ghost of Grant’s mother, while Grant frequently sees Vanessa’s deceased aunt. Can two meddling ghosts help to rekindle the love between Grant and Vanessa that never really died? Reece Davis has opted out of signing back on with the Navy SEALs. It is pack tradition to claim your mate before thirty years of age, and he can’t wait for Amber to be his. Amber Dalton has loved Reece since she was five years old. He stole a kiss from her in kindergarten, and they sprouted fur that very night — which only happens when you’ve found your mate. But Amber has a secret…one that she fears will cause Reece to reject their mating ceremony.